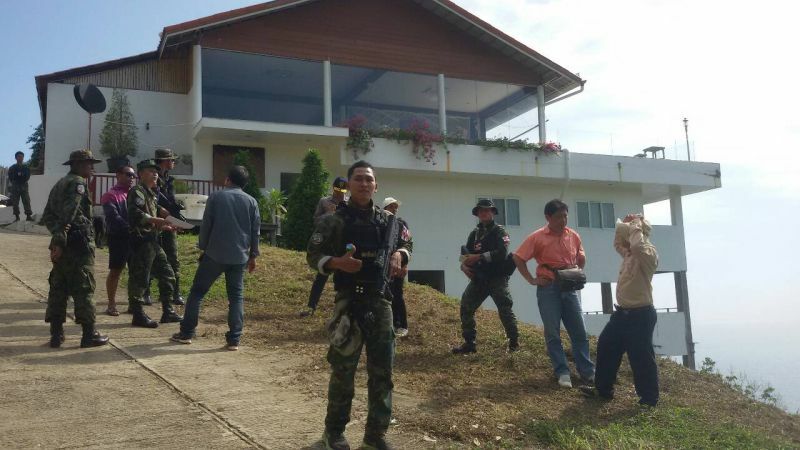 PHUKET: Heaven Restaurant and Bar, perched high on a hilltop near the Kata View Point on Phuket’s southwest coast, will not be demolished until all parcels of SorPorKor land in Phuket have been checked and verified. The decision follows the owner, Boonlert Tamsua, filing a complaint that his property was being singled out and that the same level of attention should apply to all SorPorKor land in Phuket, confirmed Lt Sompop Kamkana of the Royal Thai Navy’s Third Area Command. SorPorKor land is state land, usually degraded forest, that is allocated for agricultural use only by poor people under a government programme administrated by the Agricultural Land Reform Office (ALRO). There is about 40 million rai of SorPorKor land across Thailand, 32,372 rai of it in Phuket. “Heaven Restaurant is built on SorPorKor land and located higher than 80 meters above the sea level (which is also illegal). However, there are many similar cases. 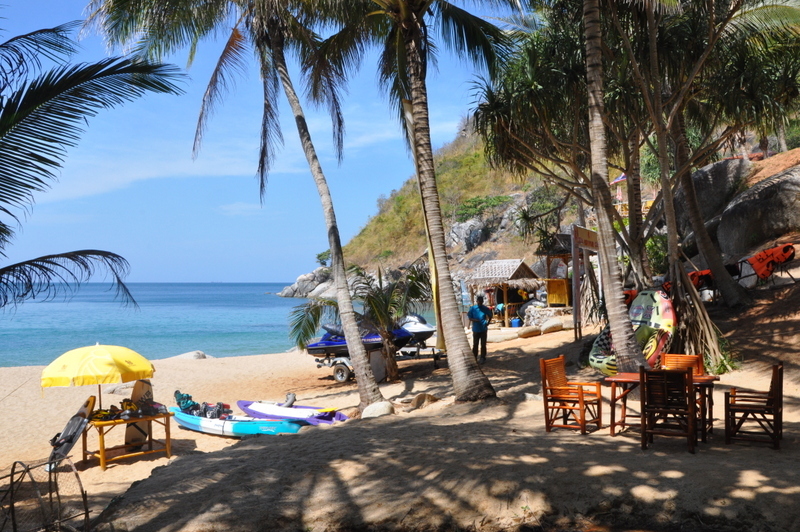 I have asked AMLO for the locations and will start checking with my team next week,” Lt Sompop told The Phuket News. Several calls by The Phuket News to confirm whether or not the Heaven restaurant remains open were unsuccessful. The club’s Facebook page remains online (click here), but the website is no longer available (click here). Meanwhile, the Nui Bay Member Club on Nui Beach, at the bottom of the hill from where Heaven Restaurant is located will be levelled by July 15 – or the Navy will take direct action, Lt Sompop warned. “Karon Municipality officials must post the final notice on July 8, giving the owners seven days to vacate the land. They then have seven days before the municipality demolishes the buildings by themselves.” Lt Sompop explained. And why in other countries such illegal establishments not even exist? And when the building process is illegal, why is it not stopped by the thai government during building proces? Is it about palm greasing, than eyes government officials just up to the sky, and not see anything? Government corruption is so obvious in both cases. Whatever the discussions are. Left way, or right way. The whole story is just about Phuket authority corruption. Wonder why the Junta General-Prime Minister is not cleaning up Phuket, the richest province of Thailand. Rich, because of corruption from the Government top al the way down.! Does Phuket need a international red flag or red card first before things get cleaned up? Richard - another of your usual inaccurant rants. Might I suggest you make yourself familiar with land tennure laws in Thailand and around the world to get a better picture to help you formulate your ideas and why things happen in certain ways and ways in which things could improve. I would suggest gathering legal experts in Land Law in order to reform Thailand\'s land tenure system.